There were plenty of winners and losers this week, with the country's favorite premium coffee brewer pouring out another great quarter and a pioneer of electronic learning toys flunking out again over the holidays. The baron of baristas continues to provide caffeinated blasts to the masses. 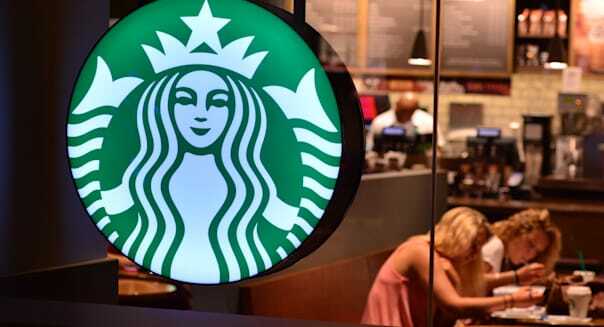 Starbucks brewed another strong quarter this week, with comparable-store sales growth increasing 5 percent relative to the prior year's holiday period. It's not a surprise to see Starbucks perform so well, with its stock hitting new highs on Friday. The economy's improving, and with the employment picture looking up, we're finding more morning commuters looking to perk up their days with premium java. There is also something to be said about the benefit of gasoline prices at a multiyear low, giving folks more spending money to spring for that mocha latte. Several analysts soured on SanDisk after the flash memory giant provided uninspiring financials. Raymond James and Wedbush downgraded the stock. Stifel stuck to its rating but joined the other two firms in slashing their price targets for SanDisk. Perhaps the most troubling aspect of SanDisk's report is the shifting scapegoat. Just a week earlier SanDisk was blaming weak retail sales for the weak showing during the holiday quarter, but now it's blaming supply constraints. What's the problem, SanDisk: demand or supply? The safe answer is probably to go with both. Netflix needed a strong fourth-quarter report, and it got it. The leading premium video service bounced back from a dud three months ago with a blowout report, sending the shares sharply higher. The reinvigorated dot-com darling blew Wall Street's profit forecast away, and it also topped its own earlier forecast for subscriber growth. Netflix now has 57.39 million subscribers worldwide. It also impressed the market by forecasting that its international expansion will be complete in two years, and that it will be posting an overall profit for its streaming platform overseas starting in 2017. Shares of LeapFrog took a hit after it provided an update for its holiday quarter that falls woefully short of where it was guiding the market. Weakness in tablet sales and delays in new products held LeapFrog back. It now sees net sales of roughly $145 million, well short of its earlier guidance of $220 million to $240 million. It also now sees a sharp loss during the seasonally potent holiday quarter. It was originally expecting to turn a profit. The leading online retailer won a pair of Golden Globe awards earlier this month for its barrier-breaking "Transparent" series, and now it wants to make sure as many people as possible get to see its star attraction. Amazon.com will be making all of the show's 10 episodes available to anyone on Saturday without having to be an Amazon Prime subscriber. Folks can fire up the Amazon Instant Video app and catch the shows. It's a promotional move with reasonable upside if it woos new viewers to its platform. Amazon is also discounting its Prime program to just $72 for the first year on Saturday. Motley Fool contributor Rick Munarriz owns shares of Netflix. The Motley Fool recommends and owns shares of Amazon.com, LeapFrog Enterprises, Netflix and Starbucks. Try any of our Foolish newsletter services free for 30 days. Looking for a winner for your portfolio? Check out The Motley Fool's one great stock to buy for 2015 and beyond.